Forget the state of Denmark—something is rotten in the state of Sri Lanka, and our enemies, the secessionists in the Tamil Diaspora must be laughing, as they well might. Three recent events indicate the future of Sri Lanka. Two are domestic and one, global. Of the two domestic events, one occurred in an international space. The three events are the Chris Nonis–Sajin Vass episode, the BBS–Wirathu nexus and the Modi-Obama meeting. Sri Lanka’s external defenses are crumbling, largely due to undermining emanating from the heart of the state itself, in the shape of bad policy and worse practices. One does not wish to speculate on or sensationalize the sad and shameful incident in New York. Instead the more serious dimensions and implications must be underscored. High Commissioner Nonis, who is certainly one of our ablest, most valuable envoys, will find himself placed in a most uncomfortable position when he next faces Stephen Sackur on the BBC’s Hard Talk. We hope that no British interviewer will pop the question of the UN episode to the High Commissioner, who would be placed on the back-foot through little fault of his own. 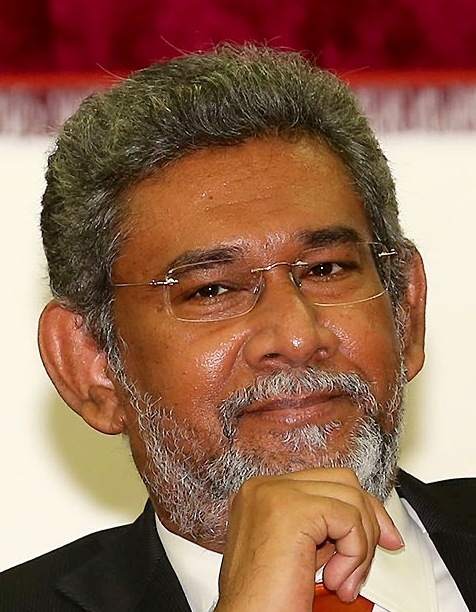 The reasonable doubt cannot but arise to the treatment of Tamil detainees after the war, if the country’s own High Commissioner, a British educated medical doctor, has physical aggression visited upon him by a top official of the Sri Lankan state, and member of the presidential staff and entourage. Thus has the official whose counsel the President ostensibly counts on in the field of our external relations, damaged Sri Lanka’s external image, standing and the credibility of our own representative who upholds our banner in the very headquarters of the anti-Lankan Tamil Eelam Diaspora, London. Offhand I can think of no state in my lifetime in which such disgraceful social and personal conduct has taken place among top officials accompanying the Head of State overseas. The conduct of top officials, including those present at bilateral meetings between Sri Lanka’s President and heads of State, reflects on the state and its leadership. The choice of personalities especially in the sensitive realm of external relations is a crucial one. Almost all states, however questionable their internal conduct, attempt to present their most educated, sophisticated, cultivated and civilized personalities at the interface of the national and the world. Hence a previous Sri Lankan president, no less patriotic-populist (and far more besieged domestically) than the present incumbent, had as his international relations advisor, Bradman Weerakoon and as a key ambassadorial interlocutor with the West, Neville Jayaweera. Far more dangerous for the country’s future, but not entirely unrelated to the first issue discussed here, is the overt manifestation of the face of fascism, in the form of the BBS-Wirathu bloc. This factor will function, in the first instance as an important electoral pressure group which the Governing elite will strive to court or benignly neutralize. This is a replay of the role of the Eksath Bhikku Peramuna (the EBP) in the General Election of 1956. It was the EPB that shifted the policy agenda of Bandaranaike’s Mahajana Eksath Peramuna (MEP) coalition to Sinhala Only and later, forced the abrogation of the Bandaranaike-Chelvanayakam pact for devolution. Its successor was the Bauddha Jathika Balavegaya (BJB) which, together with the policies of the then Secretary to the Ministry of Defense and External Affairs NQ Dias (the father of lawyer Gomin Dayasri), pushed through the anti-minority policies of the first Sirimavo Bandaranaike administration of 1960-1964, including the Sinhala-Buddhistization of the State apparatus. The activism of the EPB and the BJB set the country firmly on the path to secessionist civil war. The latest and most dangerous avatar of this phenomenon, the BBS-Wirathu bloc, its more anarchic competitors such as Sinhala Ravaya and its more legitimate political expression the JHU, will almost certainly cause a spike in Islamophobia and anti-Christian sentiment, which, together with the massive disaffection in and alienation of the Tamils and Muslims of North and East, will cause the island’s periphery to peel off and will thereby shrink the Sri Lankan state to its Sinhala-Buddhist heartland. The electoral temptation for the ruling elite to patronize or court the BBS is larger because of the inviting target the UNP’s present leadership makes. While Sinhala-Buddhism was a tempting club for SWRD to beat the deracinated UNP of Sir John Kotelawala with, it is unthinkable that anyone could have used it against DS Senanayake. Similarly, the UNP of President Premadasa was pretty much invulnerable to attack from the Sinhala Buddhist flank, not because he pandered to majoritarianism as his successor DB Wijetunga did, but because his administration’s multiethnic, multilingual, multi-religious profile was clad in the Kevlar body armor of patriotic populism. The de-Premadasized, DB Wijetunga-ized UNP was singularly unsuccessful in playing the Sinhala Buddhist card against the pluralist Chandrika Kumaratunga in 1994, but Chandrika played it successfully against Ranil Wickremesinghe in December 1999, while Mahinda Rajapaksa played it brilliantly against the Ranil-CBK alliance with its CFA-PTOMS profile, in late 2005. The ruling elite is perhaps toying with playing it again in a coded form, or allowing a proxy to play it on their behalf, or merely ignoring a nasty BBS injection of anti-minority racial and religious chauvinism, at the upcoming Presidential election. That tactic didn’t work against Chandrika in 1994 but Ranil Wickremesinghe in 2014 isn’t the New Labour lookalike pin-up that CBK was twenty years ago. As UNP candidate, neither Karu Jayasuriya nor Sajith Premadasa, especially if backed by Sarath Fonsekaand CBK, would be vulnerable to a pan-Sinhala Buddhist appeal on the part of the JHU-NFF and/or the BBS, but that’s not what the choice of candidate the UNP is making. One can only hope that on the morning after a Ranil defeat, the racist head of steam that has built up in the campaign can be dissipated by a Sajith succession in time for a successful parliamentary election campaign. But here too, I am not holding my breath because the UNP will be in shock after a defeat in January 2015 and its capacity for social self-delusion and internal paralysis are not to be under-estimated. 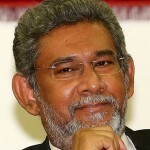 A shift to a more Sinhala Buddhist discourse and policy agenda at the upcoming Presidential election would be totally at variance with the actual shift in the balance of forces taking place under our very eyes in the surrounding strategic environment, and what Sri Lanka needs to do to adjust to that shift. The triumphant visit of India’s Prime Minister Modi to the USA, the prolonged bilateral meeting with President Obama and the unusual gesture of the joint Modi-Obama Editorial in the Washington Post, tells us that there is a tectonic shift underway or that an earlier tectonic shift has picked up irresistible speed. Sri Lanka does not need to align itself with the Indo-US equation but it can, if only it solves the Tamil question by devolution, piggyback on India’s ‘strategic re-convergence’ with the USA. At the least, Sri Lanka must not and cannot ignore its importance in the delusion that it has the countervailing backing of China, Israel and Pakistan because it will find itself run over by the irresistible cumulative weight of the world’s sole superpower and the region’s big power. Located on Cloud Nine is the local defense establishment’s notion that a US Republican administration will be persuaded by the Pentagon and the Israelis to befriend Sri Lanka (as a frontline state against ‘Jihadism’, which it is trying so hard to provoke and import-export for that purpose). If anything, the Republicans would be far more hawkish than the Obama administration towards a Sri Lanka which has been flaunting a China card. Sri Lanka has no China deterrent to a projection of the joint political will of India and the US, on India’s doorstep. Sri Lanka must balance as adroitly as Sirimavo Bandaranaike did and Lakshman Kadirgamar would surely have, between US-India and China-Russia; not tilt to one against the other or seek shelter with one from the other.